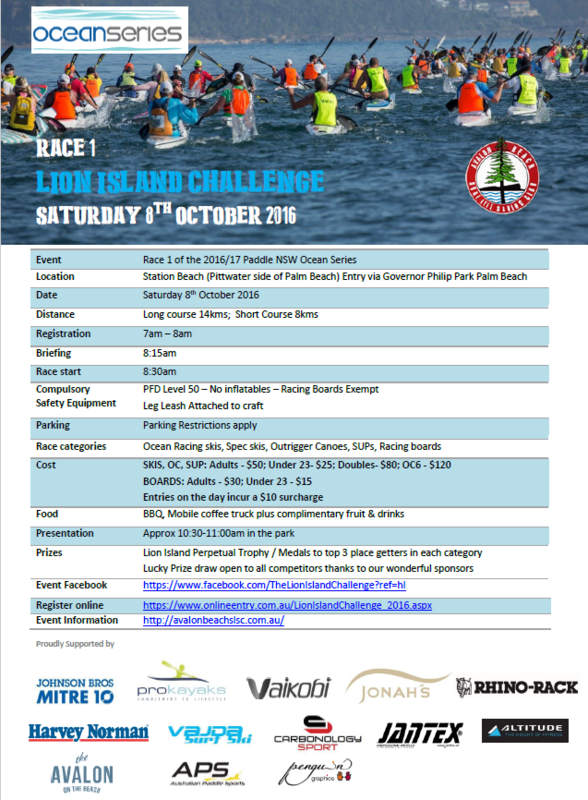 Australian Paddle Sports will once again be supporting this years Lion Island Challenge on Saturday October 8 at Palm Beach NSW. Lion Island is a river island that is located at the mouth to the Hawkesbury River inside Broken Bay on Sydney’s picturesque Northern Beaches. 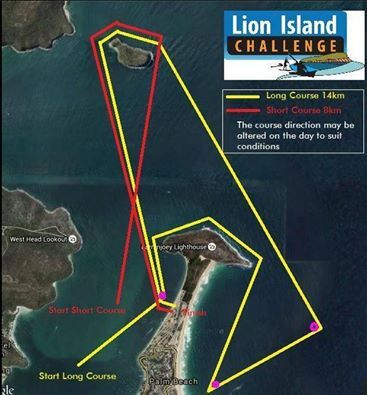 The 11th running of the Lion Island Challenge by Avalon Beach SLSC will include both the 14km long course and 8km short course for ocean racing skis, SLSA spec skis, OC’s, SUP’s and paddle boards. 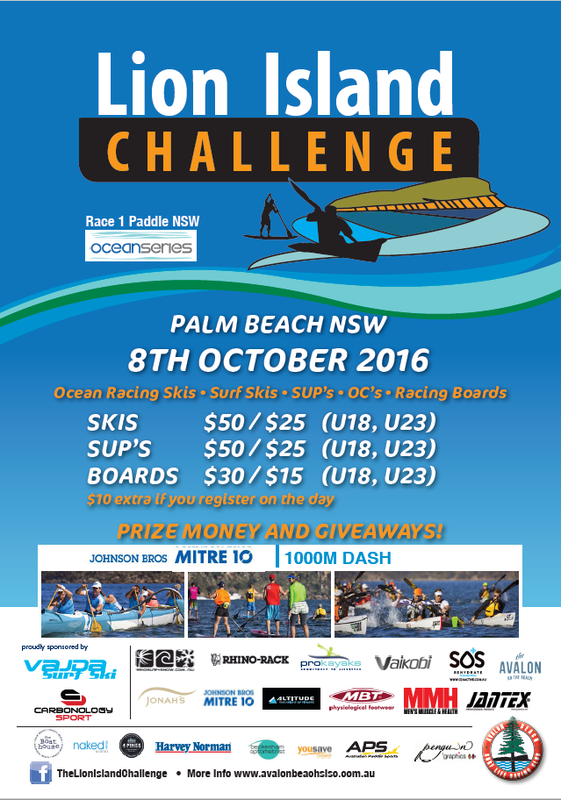 We will have Vajda and Carbonology Surfskis and Jantex paddles on display and to test on the day. We also have some fantastic prizes to give away in the Lucky prize draw open to all competitors. Information and race map below.